Breakfast will not be served on Veteran’s Day, Sunday, November 11, in order to hold memorial services. Ceremonies will start at 11am, conducted by the Legion Family Officers. Lunch will be provided for members attending the services. The Guns and Hoses Bagpipe Band of Southwest FL, who are always asked to play at special events, will perform a military salute to honor our Veterans. They will also perform at the VFW on Pine Ridge Rd for a second show at 12 pm. Both the Sons and Ladies of our Post contribute by paying our mortgage once a quarter. 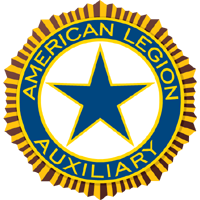 As one can see, the Post 274 American Legion Family is working well together as a unit for the welfare of not just the Veterans but also their families and community. For the benefit of our smokers and non-smokers, Post 274 has spent $10,000 building a 25X25 covered area for smoking outside of our Patriot Room. The addition is now complete, and we are going to powerwash and paint the floor, install landscaping, and add a TV and fan. The Ladies of the Auxiliary hosted a great Halloween party. Between lounge decorations and the participants of the costume party, it was a night to remember! We would love to post pictures from the party on the website and the bulletin board for all to see. 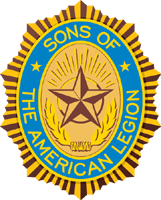 Please submit photos to: legionpost274@aol.com. On a sorrowful note, we have lost a close friend. “M.J.”, was a lady who all would say was a pleasure to be around. I’M SURE WE ALL HAVE STORIES TO TELL OF HER CHARM AND WIT. May she Rest in Peace. You may have seen stories about our Commander on TV. The drama has come to an end. The Office of the State Attorney 20th Judicial Circuit of Florida has dismissed the charges. 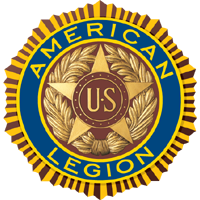 The Post membership has increased by 65 Veterans, bringing the current total to 665 so far, with our goal of 1,193 for 2019. 56 of those Veterans are new members who came back to the post when it was voted to go non- smoking. We have paid off our line of credit and are prospering. Post member Robert Nenark, a WWII Veteran, has added an Enfield rifle and Campaign hat used by the Australian Military Forces from 1943 to our museum collection. Due to our license restrictions, no food/or beverages are allowed to be brought into Post 274 without prior approval from the Post Executive Committee or a member of said committee. This is to include any celebratory cakes, candy, etc... We do not do this for any other reason than to protect our license and the integegrity of the Post and it's membership. We thank you for your cooperation in this matter.